She Won A Monkees CD ROM! She won with 79.5 Points!!! 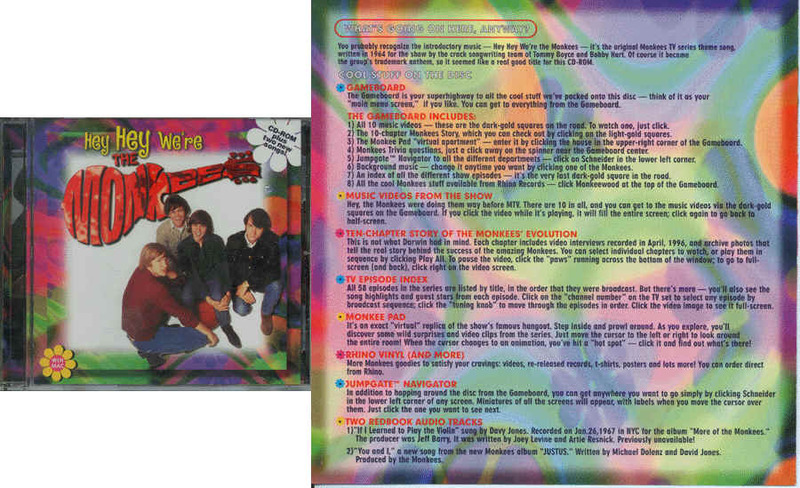 Fill in the missing colors to these song titles relating to The Monkees. (This Question is actually counted point-wise as 2 questions). Peter is the only Monkee never to have been seen wearing a ring on his finger in the TV series. Micky sold his Moog synthesizer to 60's teen idol Bobby Sherman. In the Monkees' song "No Time" Beatle John Lennon is mentioned. What were the Monkees professions in "Fairy Tale"? Source: Song Lyrics to "Joanne"
According to song writers Goffin and King what was "Pleasant Valley Sunday" written about? Which Monkees song was similar to the Rolling Stone's "19th Nervous Breakdown?" The 8-button shirts, suggested by Mike, were inspired by whom? What were the names of the Monkees in early scripts? Wool Hat, Wendell, Rick, and S.J. In musical measures, what time signature is "Love Is Only Sleeping" set in? What word is on Micky's bass drum in "Head"? How many girls does Peter get kissed by in the episode "One Man Shy"? Who was the 1st Monkee to leave the group? What are the careers of the women that Micky sings about in "I Love You Better"? Source: Lyrics to "I Love You Better"
What Monkees song was released in Spain under the title "Un bocadito tú, otro yo"? Source: 45 owned by Sarah. What is the name of the recent UK Monkees compilation CD that went silver with sales exceeding 100,000 in only two weeks from it's release date? Who is Henry Diltz? What connection does he have with the Monkees?